For todays instalment of 3D Realisation we was asked to bring in our resources that we had gathered for the physical model side of 3D modelling. So I had been to Hobby Craft a couple of days before with some friends of the course to pick up some clay for this purpose. 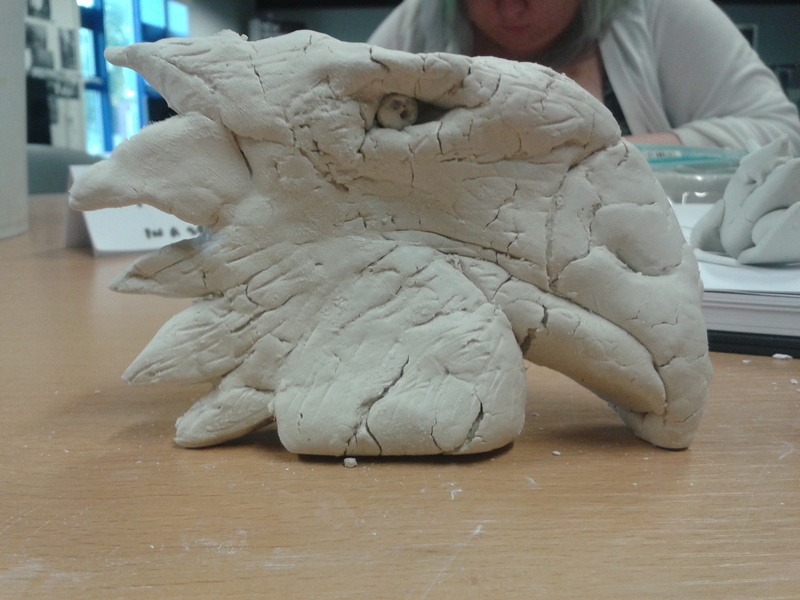 We had a choice of what to do for physical modelling in general but for this lesson we was asked to bring in clay to test our pure sculpting skills. The items I did forget to bring was an apron (to protect my clothes), some sculpting tools (anything homemade or bought) and a base (something to wrap the clay around to reduce amount of clay used). With these minor setbacks I could still do a clay model it would just take a lot more work on my behalf and slightly more clay. As I began to model the clay of my 3d model which is the Eagle perched on the stone carved statue I was getting nowhere, what I was thinking of doing in my head was nothing like what was happening before my eyes. 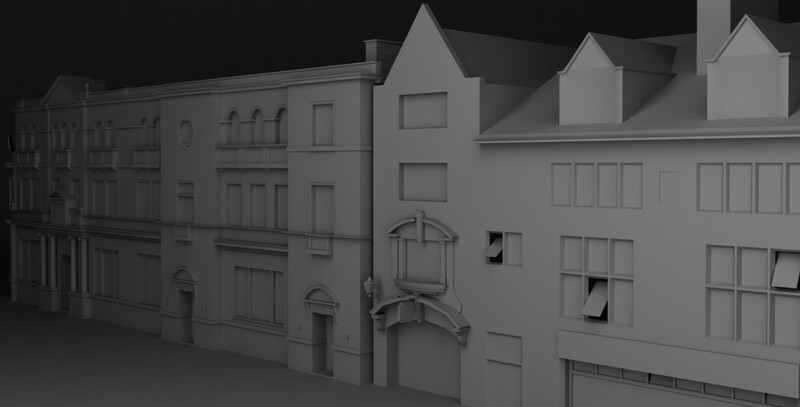 This did disappoint me but I did know this was going to be hard, I even mentioned in a previous blog that I thought I would struggle on the physical modelling due to lack of experience in sculpting. Despite this I spent all the session time grafting and crafting my eagle head for the statue, multiple times Paul came over and did suggest to me that I did it piece by piece then bring it all together and also he suggested I use scissors as a tool to pluck the feathers into the eagles head. After around 30minutes focusing so hard on one side I felt I was getting somewhere until I suddenly realise its a 3d model and I was only working on one face rather than a 360 degree view, this was a problem as when I turned the model is was very squashed my eagle had an abnormally squashed head. 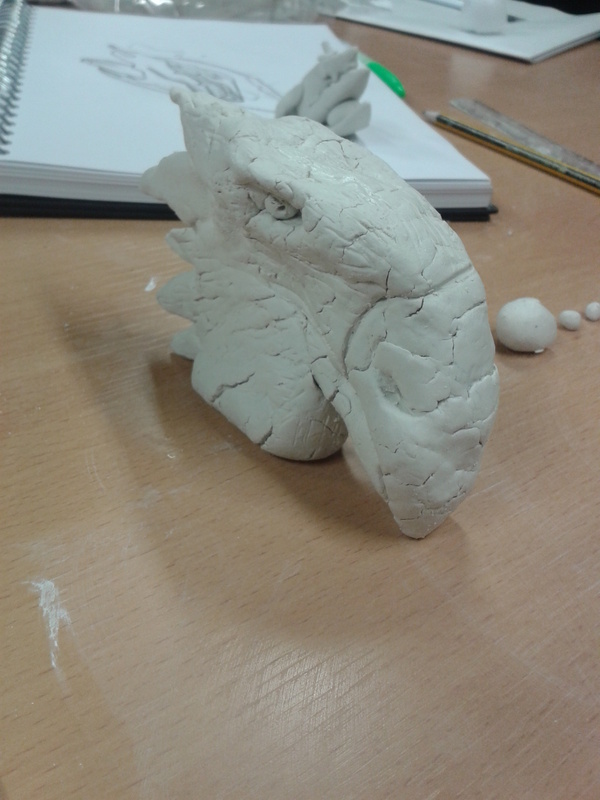 I did consider saying im making this mythical creature up its meant to look like this but it just wasn’t right. I even had this video on in the background whilst doing my model but to the scale I was doing it I wasn’t grasping it at all. By the end of the session I had made some progress seen as I was left to my own devices to teach myself and came out with a squashed abnormal eagle and a pacman I did with my leftover clay bits. The cracking of the clay was definitely an issue I had to get a cup of water and keep reapplying to stop the clay from drying up and crumbling but I could use this to my advantage as feathers have texture and if I can get it right it could add a good texture to my feathers. This picture perfectly shows what I was explaining about the eagle being “squashed”, although I do think I maybe being a tad to hard on myself as you can tell its an eagle and certain features such as the eyes and eye sockets I think I have done very well. 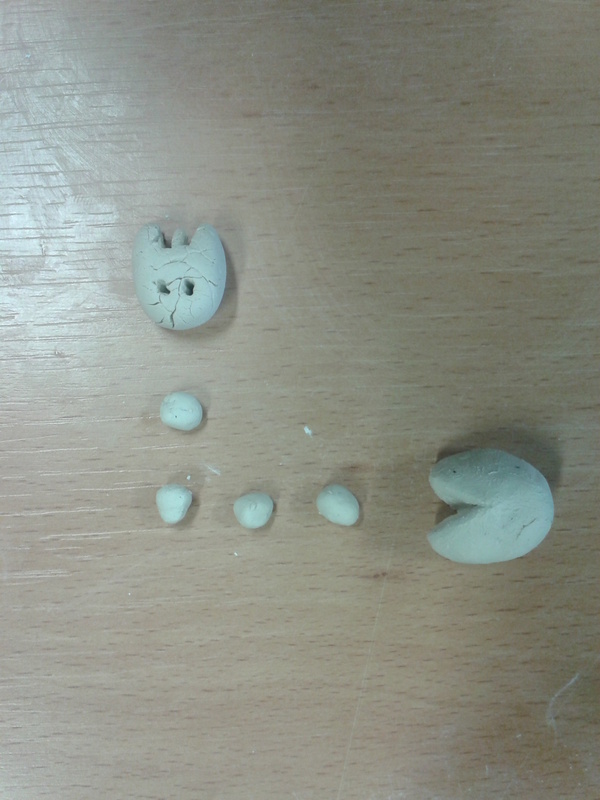 Then this is my pacman effort with some left over clay bits when we was nearly finished which I felt was a good effort on my behalf something so basic but if its recognisable I cannot complain. But with it being not my actual model I only spent a short amount of time on it. Overall I am fairly pleased with my work, I wasn’t the only one who struggled with this work most of my fellow students had a lot of problems getting the work what they wanted into the clay model so its all a learning curve for me and everyone else really we now know that practice and time will be needed with this. Categories: 3d Realisation | Tags: 3D, 3D realisation, art, Clay, Eagle, Models, Sculpture | Permalink.